Edwin T. Woolcock was born on 2 November 1873 in Putnam County, New York. William Thomas Woolcock and Sarah Frances Griffin appeared in the US federal census of 1 June 1880 in Putnam Valley, Putnam County, New York. Other members of the household included Edwin T. Woolcock, Jessie Woolcock, Charles Jay Woolcock, Ella F. Woolcock and Richard Woolcock. Daughter Jessie also is enumerated in the Peekskill household of Sarah's childless half-sister Ellen Odell Brown. He married Laura F. Van Wagner?, daughter of James Van Wagenener and Ella Wilson, on 18 April 1894 in Manhattan, New York. Edwin T. Woolcock and Laura F. Van Wagner? appeared in the US federal census of 1 June 1900 in Peekskill, Westchester County, New York, at 626 John Street. He was employed by the railroad as a fireman, according to the 1900 census. He married Nellie Josephine Cole, daughter of Charles Cole and Sarah Jane Hopkins, on 3 February 1913 in Westchester County, New York. The following appeared on 4 February 1913 in The Daily Argus: At the residence of the bride's sister, Mrs. J. W. Place, 210 Washing6ton street, last evening, Miss Nellie J. Cole and Edwin Woolcock, both of Peekskill, were united in marriage. The officiating clergyman was Rev. Dr. A. T. Fowler, the pastor of the First Baptist church. The bride and groom were attended by Miss Myrtle E. Place and Edwin Woolcock, sr., an uncle of the groom. Those present were Edwin Woolcock, sr., Mr. and Mrs. Place and Miss Myrtle E. Place. After a delightful dinner, the bridal couple left for New York and will spend the remainder of the week at Buffalo and Niagara Falls. They will reside in Brewster. The following appeared on 8 February 1913 in The Highland Democrat: Miss Nellie J. Cole and Edwin Woolcock, 2nd, of this village, were married last Monday at the home of the bride's sister, Mrs. James W. Place, at Mt. Vernon, by the Rev. A. T. Fowler of the First Baptist Curch of that place. The bride wore a gown of light pearl grey metoer trimmed with lace and was attended by ner niece, Miss Myrtle E. Place. 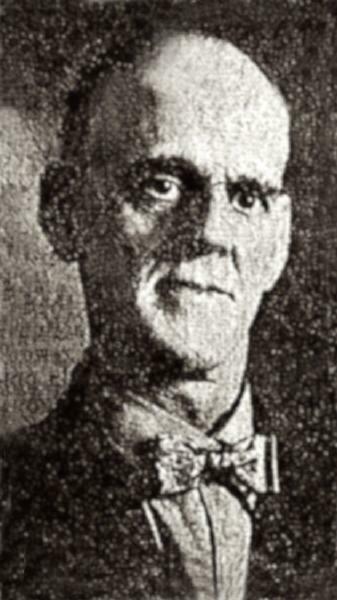 Edwin Woolcock, Sr., attended the groom. Following the ceremony Mr. and Mrs. Woolcock left for an extended honeymoon in Buffalo and Niagara Falls. They were the recipients of many valuable presents from their friends. They will reside in Brewster upon their return. Edwin T. Woolcock registered for the draft on 12 September 1918 in Columbia County, New York, while living with his wife Nellie in Chatham, employed there by New York Central Railroad as engine house foreman. The following appeared on 26 July 1919 in The Highland Democrat: Edwin Woolcock, 2nd, formerly of Peekskill, now of Chatham, N. Y., spent the weekend in Peekskill visiting his uncle, Edwin Woolcock, of 151 Depew street. Edwin T. Woolcock died on 16 April 1928 at age 54 in Chatham, Columbia County, New York, at his residence. Nellie Josephine Cole became a widow at his death. He was interred at Raymond Hill Cemetery, Carmel, Putnam County, New York. The following appeared on 19 April 1928 in The Chatham Courier: In the quiet hours of Monday morning, Edward [sic] Woolcock, age 54, Harlem Division terminal foreman, passed into his eternal sleep at his home in Chatham, a victim of pleurisy. Mr. Woolcock had been ill but one week with the sickness which proved his last. Up to that time he had enjoyed comparatively good health and had stuck to his engines at the local roundhouse. This mourned citizen was born in Peekskill on November 2, 1873 and grew up in that town. In the early years of his manhood he was a registered pharmacist and practiced his profession in Peekskill but was forced to abandon that work for something out of doors. The work that appealed to him most in this line was that of rail roading and he secured employment as a fireman on the Hudson Division of the New York Central where he soon became a freight engineman running between Albany and New York. Mr. Woolcock left that service after a number of years to become air brake inspector for the Boston and Albany Rail Road at Rensselaer. From there he transferred to the same line of work on the New York Central Company and was stationed at the Brewster engine house and later in the round house at North White Plains. Still another transfer to night foreman in the North White Plains engine house probably paved the way for his work in Chatham. In August 1917 the deceased came to Chatham as terminal foreman where he was employed at the time of his death. Edward [sic] Woolcock was a man true to his ideals and sincere in any undertaking. Almost with his dying breath he inquired for his locomotives with the care of which he had been seriously concerned for so long. He was a man who enjoyed the out of doors in sport as well as work and many of his friends recall fishing trips that they spent with him and bring to miind some that had been planned but will never materialize. Funeral service was held from the Reformed Church, Chatham, at one o'clock Wednesday afternoon, Dr. R. C. Wright officiating. The body was then taken by train to the home of Mrs. Eunice Woolcock, Peekskill, where a second service was held Thursday at two o'clock for his many friends in that section. Interment was made at Carmel with a Masonic service at the grave conducted by the Peekskill lodge, of which he was a member. The deceased is survived by his widow Mrs. Nellie Woolcock, who will make her home in Peekskill with Eunice Woolcock, Chas. Woolcock of Niagara Falls, Macgrane Woolcock of Staatsburg, N. Y., brothers, Mrs. Chas. Wright of Peekskill and Mrs. Chas Adams of Harmon, sisters. Chas. and Macgrane were summoned before the death of their brother and arrived in time to be with him at the end. Mr. Woolcock was a member of several Masonic bodies.